As a triathlete, choosing the correct goggles can help you determine whether or not you will win. Having appropriate swimming goggles is a requirement; it guarantees safety for the swimmer. Hence, comfort and proper fitting are critical considerations when picking triathlon goggles. Additionally, triathlon goggles should be specially designed to ensure they are anti-leak and anti-fog (Source). 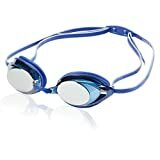 Anti-leak goggles ensure the water does not irritate the swimmer’s eyes and cause a distraction that delays an athlete. Meanwhile, anti-fog goggles guarantee the swimmer can clearly see where he/she is going even when swimming underwater. Now, to help you make the right decision, here is a review of the top rated triathlon goggles available in the market today. To start, the Speedo Vanquisher 2.0 swim goggle straps are thick, which makes them durable. The Vanquisher comes with extra dark lenses perfect for people who plan on swimming outdoors or under the scorching sun. However, clear vision may be difficult if you swim in indoors or in darker pools. 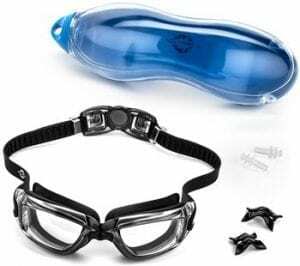 On the other hand, these goggles are comfortable to wear and come with rubberized sockets to prevent the strong plastic lens from rubbing against your face. If you are a swimmer that trains for more than 90 minutes, of course, you would want to wear goggles that offer comfort for prolonged periods. The product comes with a rigid plastic nose piece within various sizes, too, which is handy when you want to modify it according to your nose width. It is crucial because if the nose piece fits appropriately, triathletes are safe from any leakages. Additionally, this unit is available in an optical version for triathletes who need prescription lenses fitted in their goggles. It is also mirrored, wide, and comes with panoramic lenses for superior external vision. Furthermore, its lenses boast anti-glare capability which minimizes excessive light. Their UV protection and anti-fog deliver enhanced safety and competitive benefit as well. 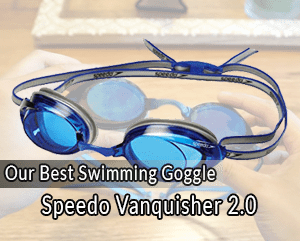 Finally, the Speedo Vanquisher 2.0 swim goggles is available in various colors. First, the Aquasphere Polarized Kayenne comes with bulky plexisol lenses that are overly durable. They are capable of enduring both rough and open water. Additionally, they deliver utmost visibility with four-point enlarged lenses. Moreover, this unit features a comfortable Softeril fit alongside Aqua Sphere’s Quick-Fit to enhance performance via a proper fit. Meanwhile, it also offers fog-resistant and scratch-free lenses, as well as 100% UVB/UVA protection and ultimate transparency for vision enhancement and glare reduction. On the downside, its anti-fog coating has a greasy appearance from the inside, which tends to bar vision. However, this can be easily eradicated by rinsing the lenses using warm and soapy water, or non-caustic toothpaste. Overall, these goggles are perfect for triathletes who swim in hard water areas. First and foremost, Zoggs Predator Flex Reactor goggles come with UV protection and a titanium coating which counters the sunlight and tints to protect swimmers from effects of the sun. 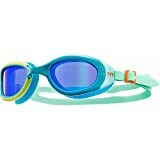 These goggles come with a spectacular coating which makes them perfect for both outdoor and indoor swimming. While the huge lenses may feel a little heavy in the pool, they are fitted with silicone gaskets which make them comfortable. Additionally, the curved lenses give the triathlete a broad peripheral vision and eliminate tunnel vision. Moreover, this model has easily adjustable double straps. It also consists of a clip system which guarantees wearers that they will not loosen with each wear. A four flexpoint technology allows flexing of the nose bridge, too, to offer an enhanced personalized fit. Furthermore, Zoggs Predator Flex Reactor comes in a breathable material and lightweight case. Hence, triathletes can take advantage of the versatile flex titanium reactor to reduce the package they carry. Most notably, the flex point frame technology forms the goggle to the face to eliminate leakage and offer maximum comfort, especially during prolonged competitive swims. Lastly, the lenses are mirrored and come with anti-glare capability, which plays a major role in safeguarding the eyes and preventing distraction during swimming competitions. However, the Zoggs Predator Flex Reactor goggles do not come with polarized lenses. It is important to note that these goggles are perfect for individuals with difficult to fit facial features. The TYR Sports Special Ops goggles come with polarized and smoked lenses. According to the manufacturer, these go through 99.9% of surface glare, and this makes them ideal for open water triathlon swimming. They have excellent clarity and robust anti-fog treatment. The broad field of vision provides easy sighting, too. What’s more, they provide a good fit and have a double brand regular back strap which spreads pressure at the rear. While they do not have fast adjusters, they have stretchy straps and a minimal chunk. TYR Sport Special Ops 2.0 has comfortable silicone gaskets, and the watertight seal is durable even after prolonged use. They boast Durafit gaskets that prevent leakage, too. Moreover, these goggles come with polarized lenses which safeguard the eyes during open water and outdoor pool swimming. They are specially made to minimize glare, headaches, and squinting. Additionally, they have an overly broad fit, which is unlike many pool goggles. This gives users wider visibility and allows them to wear these during prolonged swims. These are available in one size fits everyone. However, they are not ideal for individuals with narrow or small faces. On the other hand, TYR Sports Special Ops 2.0 is available in children sizes which makes it one of the most sought after swimming goggles for kids. Michael Phelps (MPS) XCEED Goggles were developed by Olympic champion Michael Phelps and Baseball major league executive Bob Bowman. They come with structurally fitted and overly soft softeril gaskets and feature interchangeable nose bridges for ultimate comfort. Additionally, it also has an exo-core semi-rigid exoskeleton made from a collaboration between two different materials. This enhances durability and strength. The buckle and silicone straps are hydrophobic and fast-adjusting, too, which creates a safe drip during turns, starts, and open water swims. Moreover, the lenses are anti-fog, polycarbonate, and anti-scratch which provides a maximum vision field for walls and competition sighting while keeping the head in position. Plus, they come with 360-degree visibility and the Phelp factor, which makes them perfect for image-cognizant swimmers. However, the lens shape can give objects a closer appearance than they actually are: a concept known as distortion. This can be a safety risk when individuals are approaching rocks, walls, or fellow swimmers. Therefore, if you pick this one, it is important to conduct thorough practice to fully understand the distance before your next competition. Whenever you are testing for comfortability, you should discard the goggles straps and push the lenses across the eyes. Release pressure slightly and press again lightly. This way, you will determine how comfortable the goggles are over your eye sockets for prolonged competitions and practices. Second, you can establish the magnitude of suction your eyes will experience on fast application or retrieval of the goggles. Note to look for rubber or silicone padded goggles because they are comfortable. When pressing the lenses against the eyes, make sure that the nose bridge is comfortable. First, test interchangeable nose bridges by taking them out and returning them to ascertain their durability and strength. Second, ensure the nose bridge fits appropriately, and neither hurts nor cuts your nose. These safeguard the straps to the lenses. Ensure to stretch them prior to fitting new swim goggles. Good stretch straps offer a more comfortable and secure fit. Additionally, before purchase, test the strap’s inclination of breakage during wearing and removing them. For straps that come with buckles or those that guarantee single click adjustment, test to ensure these features are functional. Use a single hand because this is similar to what is allowed during competition. Many goggles in the market today have an anti-fog coating. However, some of them function better than others. Hence, before choosing new goggles, wear them for a relaxing swim or in the shower to test the anti-fog quality. If you are not satisfied, take advantage of the warranty and return them. There are numerous swimming goggles lens types. They include optical grade and polycarbonate lenses. 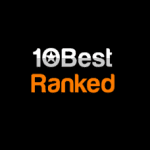 The former is produced from top grade plastics. They can resist scratches, are lightweight, and are better compared to polycarbonate lenses. However, polycarbonates lenses are more durable. They come in un-mirrored and mirrored tints complete with different shade grades. They also support UV protection and anti-fog. Lenses are available in different varieties: ultra mirrored or mirrored, clear, different tinting degrees, bluer photochromic, amber, polarized, and prescription goggles. The color is completely dependent on a swimmer’s preference. 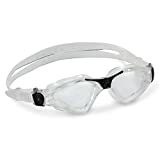 However, clear goggles are the non-color or color preferred by many indoor swimmers. This is because swimmers who compete or practice in overhead deficiency pools or in pools that have no sufficient lighting require clear goggles. They can also be used by individuals who love swimming at night. These deflect; hence, they prevent glare. They are more effective than tinted goggles and are perfect for championship competitions which are orchestrated by camera and light glares. Additionally, mirrored goggles are ideal for backstrokers and other regular swimmers who fancy swimming under the glaring sun. These, however, are not ideal for night swimming. Moreover, if you have to choose mirrored goggles, then ensure they have no mirrored swim mask. Tinted goggles have a gray or smokey appearance. The tint reverses light out of the water during outdoor swims. Hence, these are not perfect for indoor swimmers or those that compete and practice in minimal light conditions. 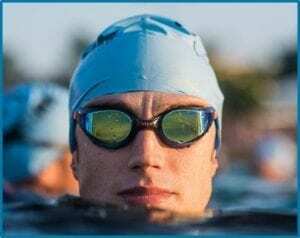 Choosing the right triathlon swim goggles can be a complex procedure that many triathletes are never prepared for. Beginners in the industry opine that finding the proper goggles is not only a difficult task, but it is also frustrating. Being knowledgeable about what to search for in a sports store or an online platform helps minimize these complexities. The above guide should be helpful to both triathlon competitors and those that participate in it for fun. This way, every shopper will be capable of making informed choices when choosing one of the most crucial equipment in the swimming sport.